Much like McDonald’s old McDLT sandwich packaging tried to “keep the hot side hot and the cool side cool” by separating the fresh-off-the grill hamburger patty from the fresh-from-the fridge tomato and lettuce, social media users frequently try to keep their public identity and activities public and their private identity and activities private by using multiple social media platforms. This desire to curate or control how our different publics see us is one of the reasons that career-oriented social media sites such as LinkedIn have flourished even as Facebook pursues its ambition to be the world’s one-stop social media destination. Facebook’s response to upstart competitors usually takes one of two forms: it buys the company or it creates very similar functionality and then kills the competitor because of its huge existing user base that other sites or services cannot overcome. We saw Facebook in buyout mode recently when it announced it was purchasing the photo retouching and sharing company Instagram. 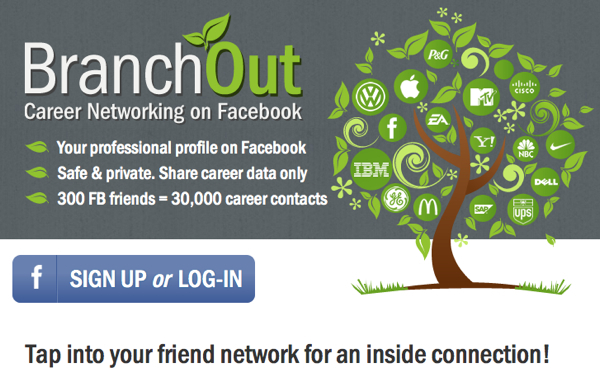 Now we may be seeing Facebook in “kill the competitor” mode with its launch of BranchOut, the professional networking app that draws data from existing Facebook profiles to connect people in similar industries. 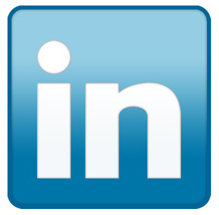 This presents a danger for LinkedIn. Even though it had the “first-mover advantage” in growing the professional social media niche, the Facebook juggernaut has the ability to dwarf LinkedIn’s network, given time. This Mashable article by Sarah Kessler states that while BranchOut currently has only 25 million registered users, as compared to LinkedIn’s 150 million users, BranchOut has access to the full 845 million Facebook accounts around the world. I would imagine that LinkedIn’s leadership team is working to avoid the fate of the McDLT, which was eventually discontinued along with its innovative packaging. Only time will tell if Facebook’s “all things to all people” recipe for success will win in the end. Follow me on Twitter at @charlesprimm. Changing jobs or finding new work after a period of unemployment is never easy, even in the best economic times. And as we all know, the last few years have not been the best. I have seen many bright, hardworking, talented people in my industry struggle to find work following layoffs or shutdowns. I know it’s a hackneyed cliché, but just as no good gig lasts forever, neither does a bad one. And unemployment is among the worst gigs there is. The good news is that social media, the great change agent of our day, is now having an impact on getting a job. There’s a great infographic on Mashable about how social media sites such as LinkedIn, Twitter and Facebook are booming as a way to connect candidates with job openings. I can see the difference myself, in the kinds of ads and job suggestions displayed on my LinkedIn profile. The site seems to be doing a good, careful job of mining my resume and connecting it to open jobs I might be interested in, some based on my work background and some apparently based on compatible careers that match my education. I like how the job suggestions are acting as a kind of surrogate career coach, encouraging me to consider possibilities I may have never considered. For all those looking for work, or for different work, it’s clear that social media networking is an investment of time and energy well worth making. Pinterest is driving more Web traffic than Google+, LinkedIn and MySpace combined. In the US, 97 percent of Pinterest users are women. In the UK, 56 percent of users are men. Tennesseans are among the top users of Pinterest in the US. Pinterest’s user engagement rate is between twice and three times as much as the same point in Twitter’s development. The (very interesting) list goes on, but you get the point. Pinterest has staked a claim to the imaginations and online hours of millions of people, and is growing at a phenomenal rate. Since I am writing this on Mardi Gras, it might be fitting to note that, just as the New Orleans cops break up the Bourbon Street revelries at midnight on Fat Tuesday, Pinterest is in effect doing the same thing, taking away the punchbowl right when the party is getting good. In this story from Mashable’s Joann Pan, Pinterest has released code that lets companies block their online content from being pinned to Pinterest users’ personal pinboards. The story notes that perhaps 99 percent of all pins on Pinterest violate its own terms of service, so in order to prevent being sued into bankruptcy, the company had to shut down the party somewhat, if it wants to stay in business in the future. We’re only two months into 2012, but unless another social media site gets this big, this quickly, Pinterest gets my vote for the “it” network of the year.